They overcame him [Satan] by the blood of the Lamb and by the word of their testimony” (Revelation 12:11 NIV brackets added). And whom should God choose to be set apart, chosen, and honored in the genealogy of His Son? Not Mrs. Noah, who must have been an awesomely patient woman with all those animals to take care of. Not Mrs. Moses, who must have been incredibly flexible with all that moving around in the wilderness. Not Mrs. Abraham who must have become the poster woman for senior citizens everywhere when she had a child at ninety-years-old. No. Those are not the women that God chose to be listed in the lineage of our Lord and Savior Jesus Christ. He chose Rahab, who had been a prostitute in Jericho. He chose Tamar, who had an incestuous relationship with her father-in-law. He chose Bathsheba, who had an affair with King David. And He chose Ruth, a nice girl from the cursed Moabite nation. And that IS the story of Christmas. God shows us through these women’s lives that there is no place we can go that is so far away from His presence that He cannot forgive us, redeem us, and then use us for His glory. His arm is not too short to save us from the deepest pit imaginable. I often hear women say they believe God can forgive them, but that they struggle with the idea He could ever use them. But the Bible shows us that He can and He will—if we let Him. Your past stumbling stones can become your God-ordained stepping-stones. Your mistakes and failures can become the very springboard from which your ministry is launched. I’m not talking about launching an international ministry, though it could be. I’m talking about your ministry to your neighbor, your co-worker, and your family. Revelation 12:11 says this: “They overcame him [Satan] by the blood of the Lamb and the word of their testimony.” Each of the women in Matthew chapter one had a powerful story of how God plucked her from desperation, placed her on a firm foundation, and transformed her life into a portrait of admiration and inspiration. Does that give you hope? It does me. And that, dear sister, is what the Christmas story is all about. Heavenly Redeemer, I am so thankful that You choose the weak things of the world to shame the wise. I am one of those “weak things,” and I am constantly amazed that You chose me and use me for Your glory. Thank You for writing my name into the Christmas story. During the next few days, go back and read the stories of the women listed in Jesus’ genealogy and see what you can learn about their lives. What did God take them from? What did God take them to? What does this tell you about the people that God chooses and uses? This is not your typical Christmas message, but it is why Jesus came. To save the lost, heal the sick, and use the redeemed. 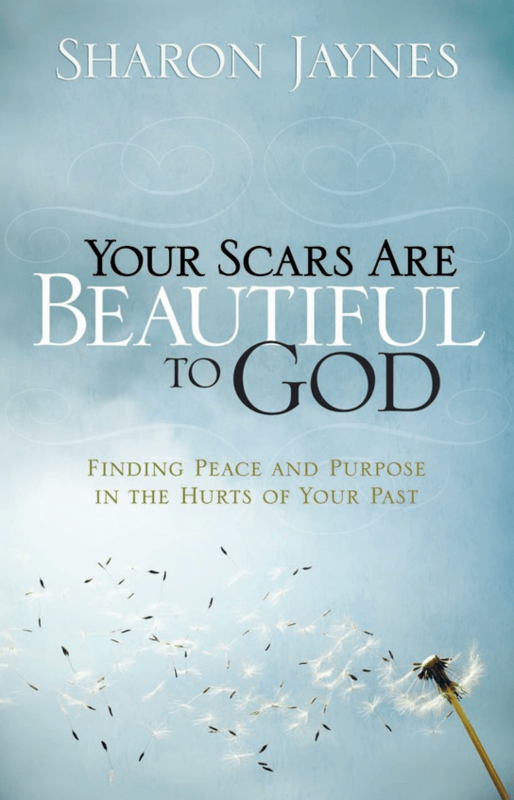 If you would like to learn more about God’s transforming power to turn your life around, check out my book, Your Scars are Beautiful to God: Finding Peace and Purpose in the Hurts of Your Past.